All attendees, speakers, sponsors and volunteers at TERMINUS are required to comply with the following code of conduct. This code will be enforced throughout the entire event. Anyone not complying with the code of conduct will be dealt with on a case-by-case basis. This code exists to ensure a safe environment for all TERMINUS participants. We all came here to have fun — so don’t be a jerk, okay? TERMINUS is dedicated to providing a harassment-free experience for EVERYONE, regardless of gender, gender identity & expression, age, sexual orientation, disability, physical appearance, body size, race, ethnicity, religion (or lack thereof), or technology choices. This applies to all in-person and online interactions between participants & attendees. Harassment includes, but is not limited to: offensive verbal or online comments related to gender, gender identity & expression, age, sexual orientation, disability, physical appearance, body size, race, ethnicity, religion, technology choices, sexual images in public spaces, deliberate intimidation, stalking, following, harassing photography or recording, sustained disruption of talks or other events, inappropriate physical contact, and unwelcome sexual attention. In short, DON’T BE A JERK. Those who are asked to stop any harassing behavior are expected to comply immediately. If they do not, TERMINUS reserves the right to remove them from the premises and bar them from future events WITHOUT a refund. If someone engages in harassing behavior, TERMINUS organizers may take any action they deem appropriate, including warning the offender or expulsion from the conference with no refund. Harassment claims will be dealt with on a case-by-case basis, at the discretion of TERMINUS management and/or security staff. If you are being harassed, notice that someone else is being harassed, or have any other concerns, please contact a member of staff IMMEDIATELY. TERMINUS staff can be identified by “staff” T-shirts. If you do not see a staff member, please contact a member of the security team. You can always reach us at magic8ball@terminusevent.com. 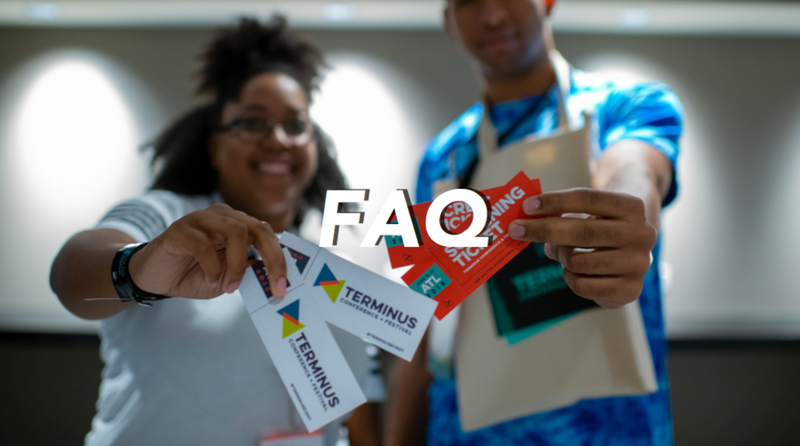 TERMINUS staff members are happy to help participants contact hotel/venue security or local law enforcement, provide escorts, or otherwise assist those experiencing harassment to feel safe for the duration of the conference. We value your attendance, and we want everyone to enjoy all that TERMINUS has to offer. Participants & attendees violating these rules may be sanctioned or expelled from the conference without a refund at the discretion of the conference organizers. There will be no exceptions to this established code of conduct.